A school safety officer was assaulted by a parent on the first day of school at P.S. 196 in Williamsburg, police say. 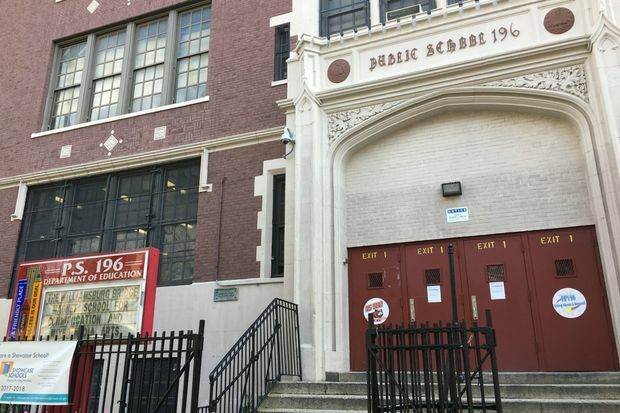 WILLIAMSBURG — An angry dad socked a school safety agent in the face on the first day of school after the pugilistic papa was told he couldn't be in a restricted area of the Bushwick Avenue campus, officials said. Anthony Torres, 36, entered the building at 207 Bushwick Ave., which houses P.S. 196 and M.S. 582, even though he wasn't permitted in an employees-only area about 8:15 a.m., according to NYPD and Department of Education officials. When the 31-year-old NYPD safety agent approached, Torres punched him in the face, leaving the agent's face swollen and bruised, police said. Torres fled, but later turned himself in to the 90th Precinct stationhouse, police said. He was charged with assault, but hadn't been arraigned as of Thursday afternoon, records show. The agent was treated at Wyckoff Heights hospital and released, police said. "The incident was immediately reported and is being addressed," said Department of Education spokeswoman Toya Holness. "The parent involved in the incident was not permitted into the building and we’ll ensure appropriate follow-up action is taken," she added.